PEDACHESS Educational Services is a body that renders teaching services in Primary schools on the basis of the game of chess. We teach chess as part of the school’s curriculum, and our ultimate responsibility to step-up the IQs of the kids by using chess. The body is comprised of a group of Nigerian chess players; headed by Ajibola Olanrewaju. Other members of the PEDACHESS team include Adeniyi Kareem, Edunwale King, Odun Ajiboye, Bunmi Ibitayo, Rotimi, and Ademola Shorungbe. 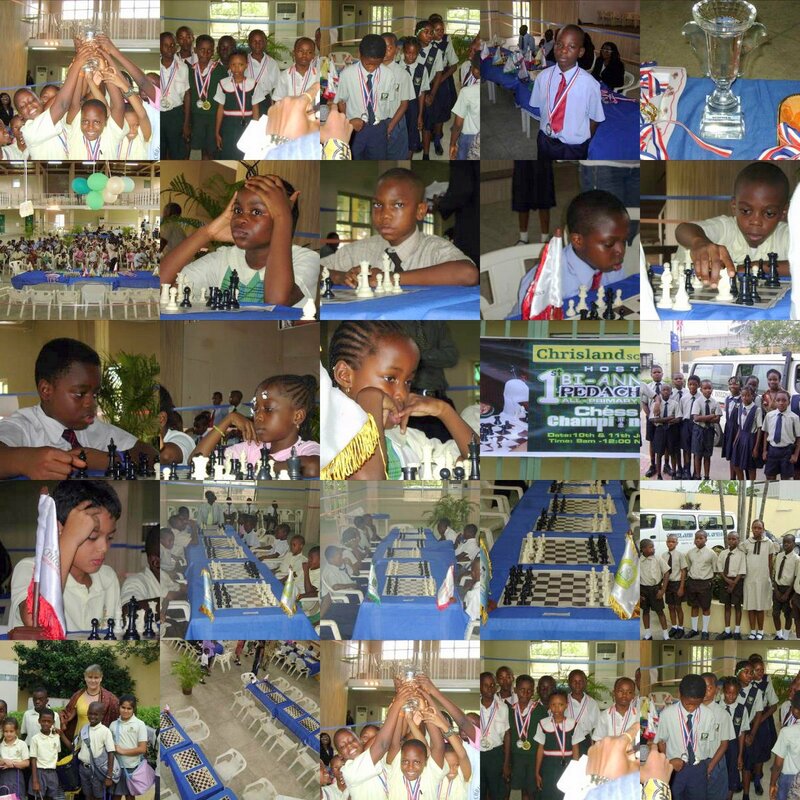 Presently, we are in about 6 primary schools across Lagos, Nigeria, and I must say, the CAMP (Chess Aided Mathematics Programme) has really being a success (relatively) considering what we’ve had to work with. We hope in the nearest future to get support from external bodies to help us really facilitate our present and future plans in a way that is much more befitting to chess and to Nigeria, and even the whole of Africa. Kudos must go to God first, and to the members of the PEDACHESS team for the sacrifices made (financially and otherwise) just to make the first edition a success. 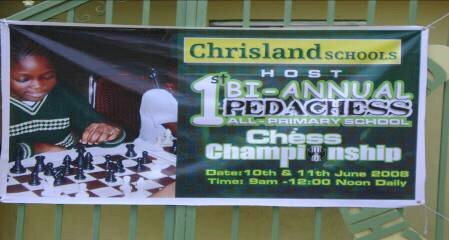 Of course, great thanks to the few individuals (mostly family and friends) that also supported, and also to Chrisland Schools for playing host.